Happy almost weekend! I am finishing up my last day of summer school tomorrow! Excited for a break before school begins next month! I wore this outfit to work on Monday! With all the heat and humidity, I wanted something breezy and comfortable. 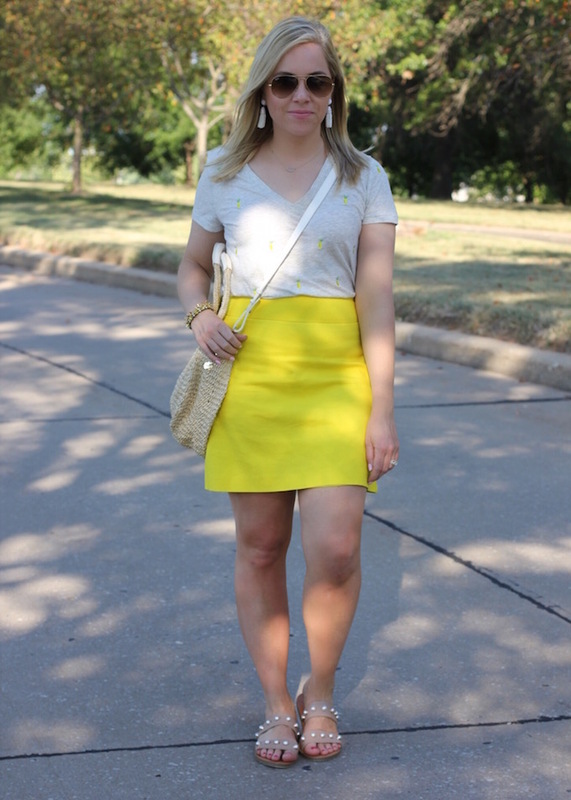 This lemon print top and yellow skirt scream summer! Also, today is the first day of the Nordstrom Anniversary Sale! If you are a card holder, you get to shop the sale before the rest of the public. I have found some great deals from this sale! I use my Nordstrom Visa all year long and collect my Nordstrom notes just to spend for this sale! Things sell out quickly, so make sure to get it while it is still in stock! 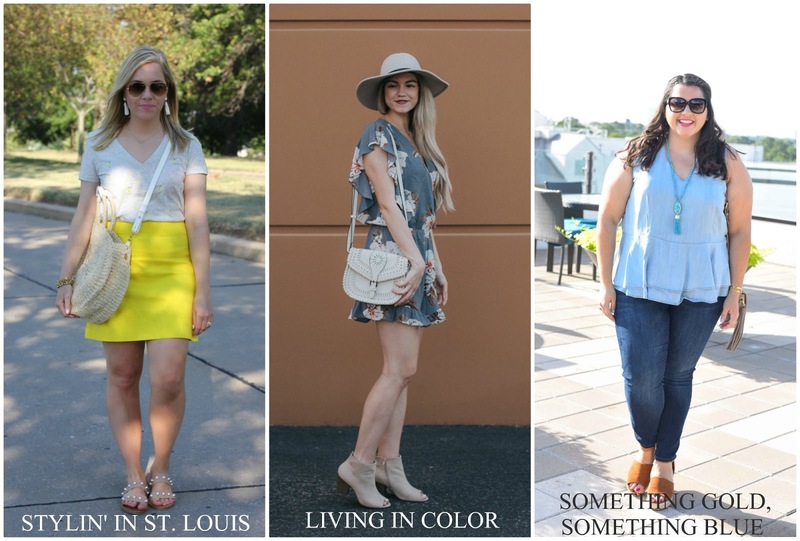 Spotlight: Our spotlight of the week is Rachelle of Pink Sole! This outfit is perfect for those hot summer days! 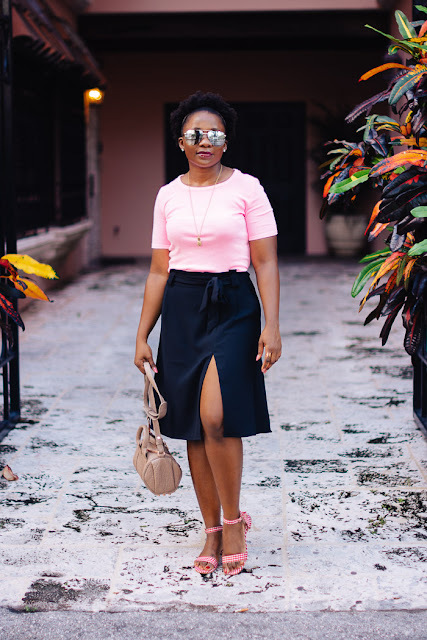 We love how Rachelle paired her summer tee with her midi skirt! Those shoes are the cherry on top! Be sure to check out her adorable blog! I love this sunny look! That skirt is such a fabulous color! Thank you so much for featuring me ladies. This outfit is the cutest, love the straw bag. Your tee is the cutest and perfect with the bright skirt! I love this skirt. The yellow is so fun for summer. The top makes it a perfect combo! Peace! I just wore my yellow skirt recently!! It's so perfect for the summer!! Congratulations on finishing up summer school! Your pineapple tee is adorable! Congrats on finishing summer school!! I hope you get some much-needed R&R! I love your yellow!! So pretty!! 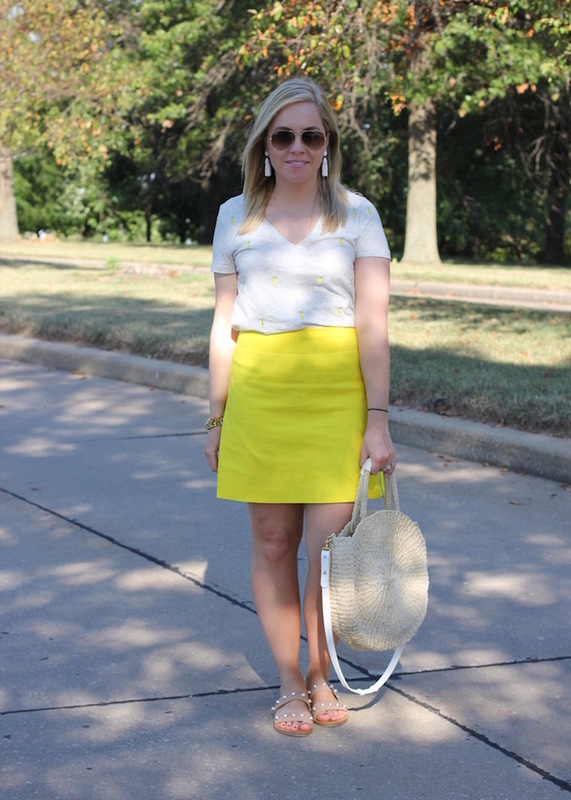 Two of my favorite trends right now, pineapple print and pops of yellow! Such a gorgeous look! 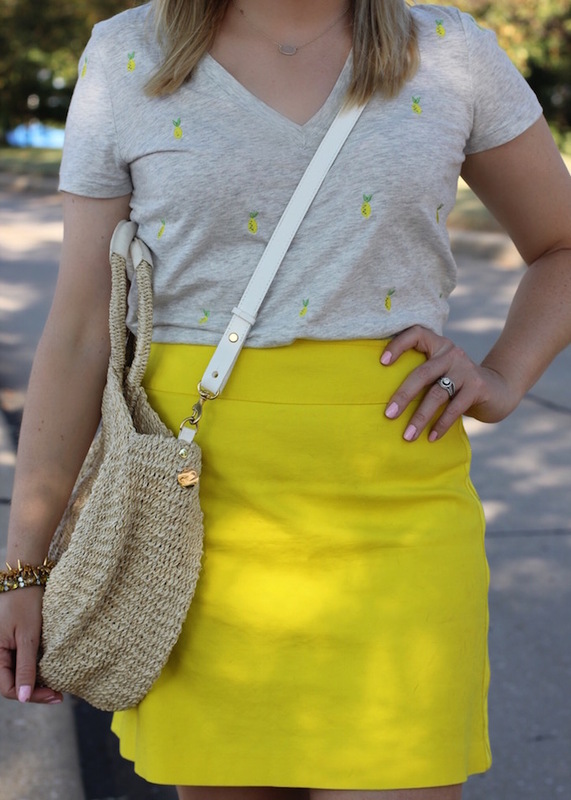 Love those subtle pineapples and your sandals! That skirt is the cutest! Love the tee too! That is a cute top and it looks good with your skirt! 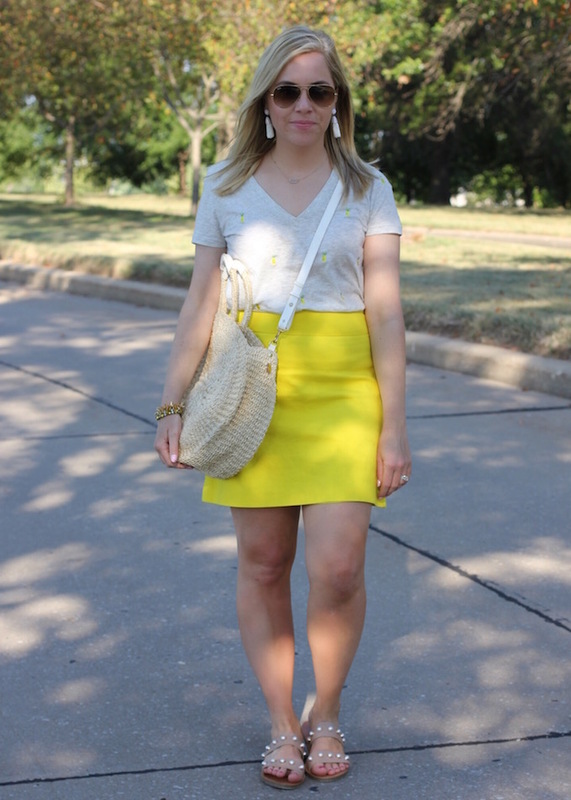 I love the bright yellow skirt! I definitely need to wear more yellow.